The B8R chassis is now available for the Plaxton Elite coach. At 13.2m in length on two-axles, it seats up to 53 passengers and offers a centre sunken toilet at the continental exit door. The increased wheelbase maximizes the luggage locker space available. This can be fully utilised due to the lighter chassis, which delivers an increase in luggage carrying capacity of around half a tonne compared with the 12.6m Plaxton Elite on B11R chassis. A range of specification options are available, including a PSVAR compliant entrance mounted wheelchair lift and full LED destination equipment. 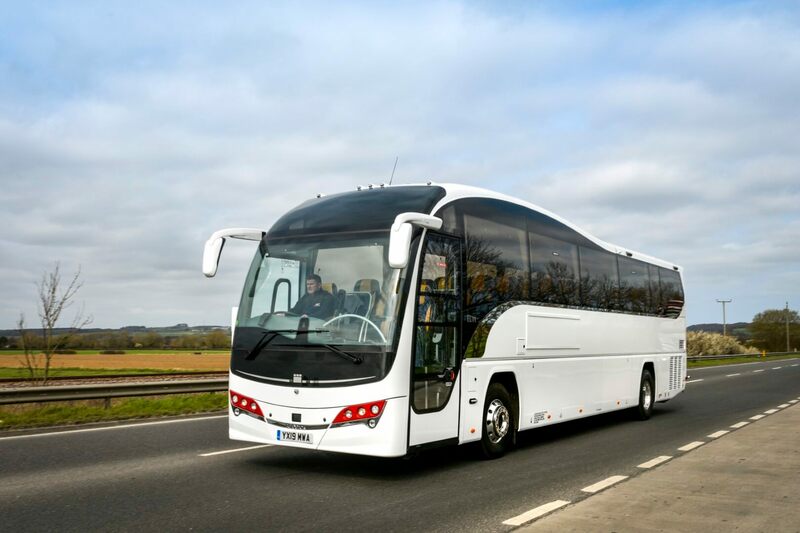 The first of the new coaches will be shown at the UK Coach Rally in Blackpool on April 6 and 7.